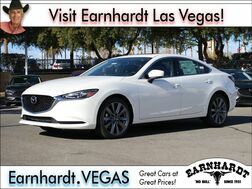 $2,000 Customer Cash good towards 2018 Mazda6. Customer Cash cannot be combined with all offers, including special lease and special APR offers financed through participating lender. Offer valid to 4/30/2019. No cash value. Limit one discount per customer per vehicle. Must take new retail delivery from dealer stock by 4/30/2019. Residency restrictions may apply. See dealer for complete details.